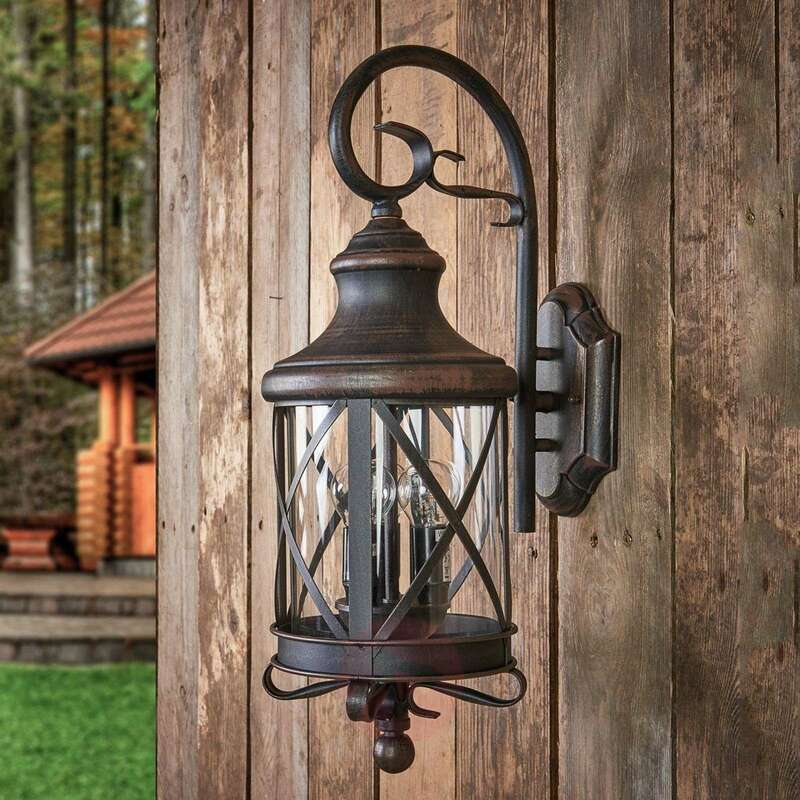 The outdoor wall light Romantica makes an impression with its rustic design: the beautifully designed metal body makes an impression with decorative stylistic elements and a wonderful colour scheme in rusty brown. 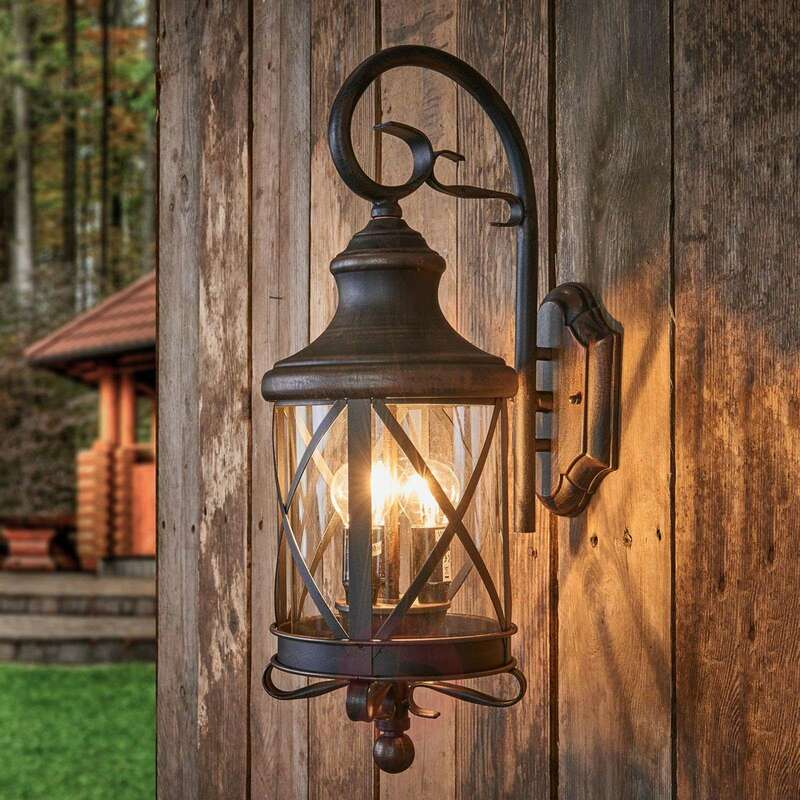 The transparent glass, which provides a pleasant light effect, is hidden behind elegant metal braces. 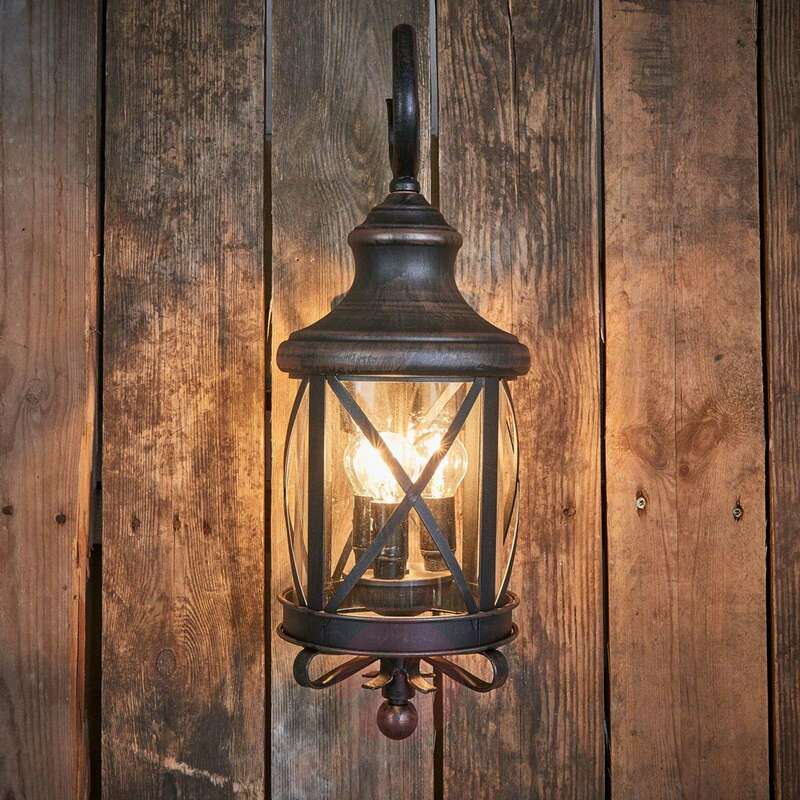 This light is an eye-catcher - be it in the entrance area or on the outdoor façade and not just when it is turned on.